Each quarter SWPP surveys the workforce planning community on critical workforce planning topics. Almost 170 call center professionals representing a wide variety of industries participated and provided insight into this quarter’s survey on managing schedule exceptions. The entry of schedule exceptions serves three primary purposes in most contact centers. The first is to identify the actual staffing that is available to handle the workload. It is difficult to impossible for the WFM team to determine whether more or fewer agents are needed if the actual headcount planned and logged in is not clearly known. The second is to provide an accurate record of the shrinkage that is actually occurring in the center so that planning can reflect the reality of losses and the management can address those areas that it can control. The third reason to track exceptions is to provide “forgiveness” to the agents for not working the planned schedule so that achievement of a schedule adherence goal can be achieved. In this case, the goals should have some built in percentage of loss that will cover for the normally occurring events such as getting stuck on a call at break time. This minimizes the number of data entries that need to be made. The challenge for many centers is finding the best-balanced approach to managing schedule exceptions that ensure accuracy of staffing counts, shrinkage records, and reasonable accommodation of changes that are largely out of the control of the frontline staff. Some centers find that they are spending more time and energy on the exceptions than they are worth while others find that controlling lost time is more than justified by the return on the investment. Forty-five percent of the participants are from call center operations with over 500 agents, followed by 13% each with 100-200 agents and 50-100 agents. All types of call center operations are represented in the survey, with the biggest percentages representing financial, insurance, other, health care and telecommunications industries. 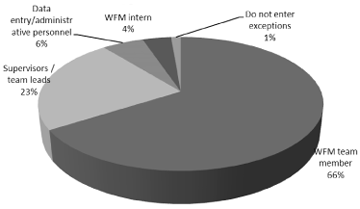 Sixty-six percent of the respondents say that exceptions are entered by a member of the WFM team while 23% indicated that it is the supervisors and team leads that have this responsibility. Only a few centers reported having data entry personnel or WFM interns doing this work. While it is important to have the supervisor/team leaders aware of the exceptions their frontline personnel are requesting, taking them away from focusing on coaching and staff development for this data entry is problematic for some centers. On balance, WFM team members are often unaware of what the supervisors would approve for each individual agent and may enter items that should not be approved. 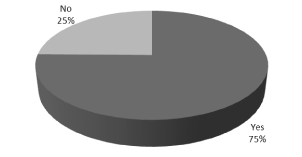 The largest group of the participants (34%) says that they have one or two persons dedicated to the entry of schedule exceptions while 20% indicated they have three to five people doing this work. Larger teams are noted in over one-quarter of the centers but 20% of the respondents indicated that no one in their center is dedicated to this function. Even for those where there is no dedicated staff doing the data entry, the number of man-hours dedicated to this effort is something that should be tracked as it can be a considerable investment. Over 140 of the 167 participants indicated that acceptable schedule exceptions include scheduled training, team meetings, special projects and scheduled coaching. Around half of the participants also accept unscheduled coaching, training, and team meetings. Over 90 indicated they accept tardies while only 45 indicated that they accept early log-ins. Interestingly, only 31 indicated that they enter exceptions for long calls that interfere with timely breaks and scheduled activities. This suggests that the adherence goals have a reasonable percentage forgiven for these common occurrences. Boundaries or rules regarding schedule exceptions vary quite a bit. Approximately half (54%) of the participants indicated that there is a requirement for an exception to be a minimum length before it is accepted for data entry. Nearly half (47%) indicated that they require a supervisor or team leader to approve the item. An equal number (22%) have no rules or boundaries in place or do no entry of exceptions from the past. Seventy-five percent of the participants indicated that they will enter exceptions from the past, but the remaining 25% indicated that they do not accept these. This likely is driven by how much of the effort is designed to provide accurate shrinkage reporting and how much is focused on schedule adherence. Entering exceptions after they have already occurred does little to improve the WFM team’s knowledge of the actual staffing for real-time decisions. Entering absences from yesterday leaves the real-time team in the dark about how many agents should actually be available today. When those who do accept exceptions from the past were asked if it was only for specific types of exceptions, 52% indicated that there is a limit while 48% indicated that there is no specific type limitation. The most common types that are accepted are system downtime and situations beyond the agents’ control such as a team meeting that runs long. Special projects, overtime, and approved time off without pay were also mentioned. Several respondents noted that the management “rubber stamp” of approval overrides the rules fairly regularly. Only 40% of the participants indicated that they have a specific threshold for the length of an exception to be accepted for data entry. When the time is all added up for the agent to make the request for the exception, a supervisor/team lead reviews and approves it, and someone in WFM does the data entry, the recording time often exceeds the length of the exception itself. This is the conundrum of exception data entry that often leads to a rule that only items that exceed a specific length of time will be accepted and entered. However, this can actually extend the exception times as agents near the limit may extend the unavailable time just to ensure that it qualifies for an exception against their schedule adherence. Most of the participants (65%) indicated that they have not established a cut-off time for entering schedule exceptions. 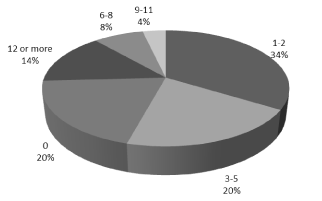 Ten percent or less of the participants chose any of the other options for the cut-off time limitation. Almost 80% of the participants indicated that they do have a clearly defined standard for entering schedule exceptions, while only 21% indicated that they do not. What Would You Change About Your Schedule Exception Process? Several respondents noted that there are inconsistencies in the processes among sites, teams, and between the stated policies and the actual application of the rules. Some noted that when all of the effort is considered, it just may not be worth all the effort that it takes to be accurate. There is too much “cooking the books” to achieve desired statistics. Several indicated a desire to eliminate schedule exception entry for things in the past entirely while others would be delighted to have a high level of integration between the WFM system and the ACD so that the actual times in each work-state would be automatically entered into the records. Some would make the supervisors more responsible for the data entry and others would like to take that role away from them. Managing schedule exceptions is a significant challenge for many WFM teams and contact center managers. Where there is a payroll interface to the WFM system and processes, the rules may need to be much tighter and the entries more detailed. In union shops or where contracts are involved with clients or outsources, additional rules may be involved. But no matter the environment, it is important to manage the process to ensure that it has the desired return on the investment of time by all parties. We appreciate your participation in this study and hope that you will participate in our next Survey, which will be available soon.